The triple stacked deal is still here! Metal is soon to come to the AmEx Business Platinum cards, and for good reason since both cards should be sold in pairs! The cards work together to get 50% points back on flight bookings using points. This applies for any ticket of the airline you choose for your Business Platinum or any ticket on any airline that is business or first class. Now the synergy is here, when you check out of AmEx Travel using pay with points you can actually choose any of your Personal Pt Cards for another 4x points on the cost of the tickets. This works because when you pay with points you will actually charge the card you pick with the price of the ticket. 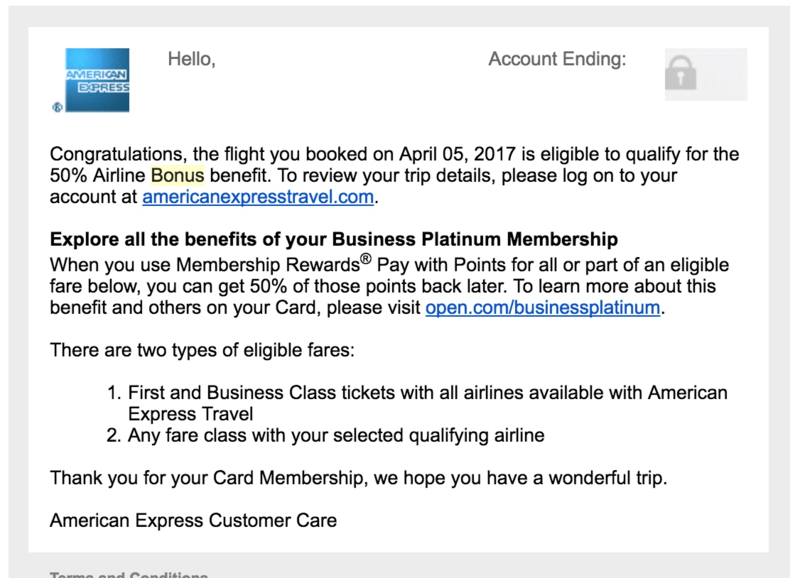 American Airlines charged my Personal Platinum Card when I booked a flight with points, then the card waives the charge. My Personal Platinum card was charged $1,377.64, and in the eyes of American Airlines it’s a regular revenue flight. This means I get to keep the miles flown and segments flown for status. Since it charged the card and it’s an airline, you get 4x points for the charge (1x missing since the charge is automatically reversed) for a total of 5x for airline tickets. Very detailed explanation here on reddit. Essentially the bonus of 5x for booking directly with an airline is triggered with pay with points! Since the Business Platnum card is linked to the same pool as the Personal Platinum that I pulled points from, I got 50% of my points back even though I used the personal card on check out. That means I spent 137,764 MR points initially, got 68,882 from Business Pt 50% bonus as well as 5,510 MR from Personal Pt back as a bonus (4x MR for flights). 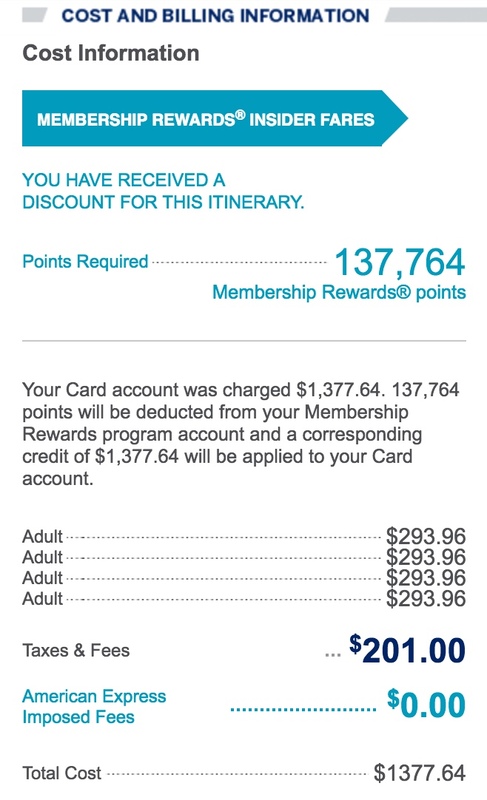 Grand total of 63,372 MR points for $1,377.64 in airfare for a sweet 2.17 cents per point! This far exceeds that of UR points with chase. If you haven’t gotten the Personal or AmEx Business card and would like a nice wood phone stand, Go ahead and use this link for the personal and this one for business. Not sure when the metal business ones are coming so you might have to wait.